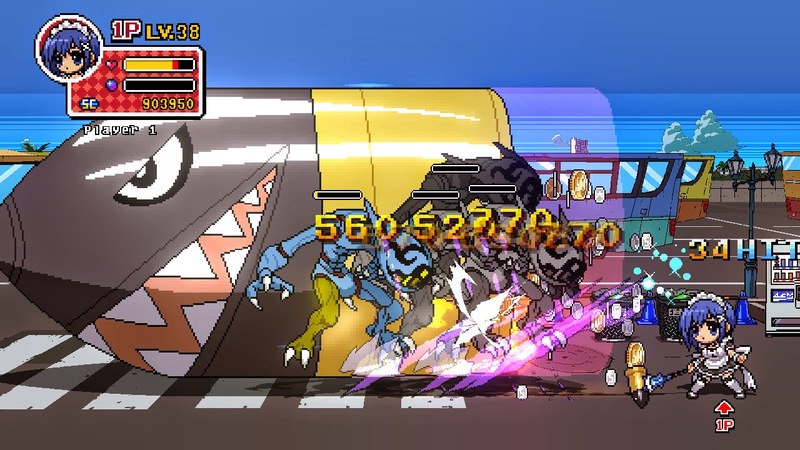 Right off the bat, Phantom Breaker Battle Grounds tells me one thing: I’m out of touch with the Xbox Marketplace because I should have played this two years ago! 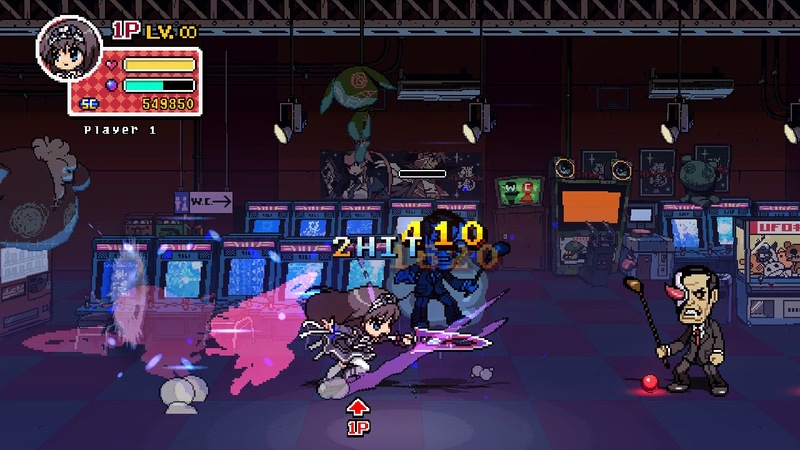 Recently released on Steam, Phantom Breaker Battle Grounds is a side scrolling brawler that supports up to four players in a well-designed, fast paced, Scott Pilgrim-esque beat-em-up that kept me coming back for more. - Or there is something fundamentally flawed in the game mechanics themselves. 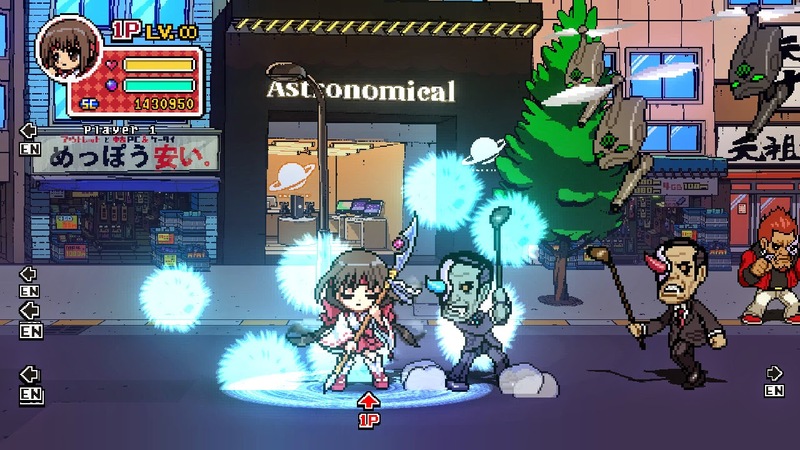 Fortunately, Phantom Breaker’s great mechanics make it easy to find that groove with the smooth transitions of combos regardless of being light, medium, or heavy attacks. One of the issues that I have with a lot of games in this style is that there is always a lag or a lull between attempting certain moves. The best comparison I can come up with would be playing Dead or Alive with the fluid combat and then going to Mortal Kombat where even while running you stop to throw a punch. Don’t get me wrong, I love MK, but it doesn’t have that nice and easy flow to it. Following closer to the flow of DoA, even the slower characters can chain together their attack from light to medium or heavy for some rather devastating chains before even getting into more serious powerful moves. Being able to run into the crowds of enemies swinging was more than satisfying especially when the combo counter raised into the double or sometimes triple digits. Stories in brawlers tend to be more of an optional thing, a secondary consideration behind the explosions and epic takedowns. Sometimes they can be fully fleshed out with multiple cutscenes, and sometimes they are more designed to be orienting dialog at the start of a stage or prior to the boss fight. I mean, you have to justify why the player needs to go into the dank, dark room to battle a ten foot tall spiky creature to the death right? Following the style of the later, Phantom Breaker BG keeps up a quick game pace with a smaller scaled story. The dialog doesn’t distract players from what is most important: Crashing through the hordes of enemies between them and the end of the level. The only issue that came about in regards to the story and dialog was in co-op mode. Players go through the story stages and see the various characters come in and out, but there is never any dialog leaving those who haven’t played more than a little lost. - The first of the two choices are upgrading Attack, Defense, and Speed. For each additional point in these categories, players will require to spend more skill points that are allocated per level up. -The second category available are upgrades to things such as combo counts, jump height, and special attacks which all have static amounts required to be selected. The best part? Don’t worry if you realize that the way you upgraded does not really work for you as points can be taken back and re-assigned without penalty. This allows for a decent level of testing out of what works best for an individual’s playstyle (which I have used more than once as I realized that I needed more defense to be able to withstand a stage boss’ assault). Multiplayer… was definitely something of a different experience. Having played with a friend of mine we came to realize that the addition of an extra player alone raised the difficulty level. The second thing we learned? That level 0 characters should not be used on Hard mode. Aside from that, even with more than one player the game still ran smoothly with the only issue ever being that players were stuck in the same screen place and had to move together and could not go their own ways. 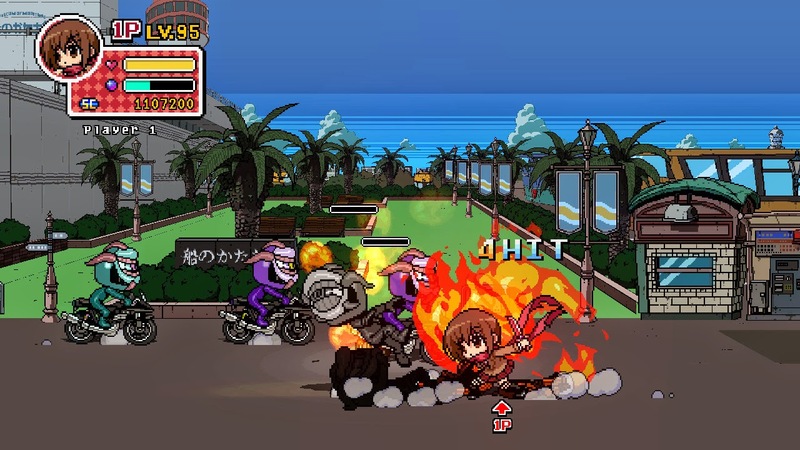 Phantom Breaker is a great side scrolling brawler that supports both smooth single player and multiplayer modes for hours of fun. While not being overly long in length, the unlockable characters and difficulties are more than enough to keep you going back for more brawling and friend pulverizing action!